This is an official NIGHTLY & SNAPSHOT CyanogenMod for LG G2 AT&T CM13 (cyanogenMod 13) Marshmallow ROM (Device Codename: d800). Official NIGHTLY build are automated builds which makes sure the build is not broken by daily code changes made by developers. NIGHTLY builds are not stable as compared to SNAPSHOT builds and may contain some minor bugs. Here is some brief explanation of the difference between a NIGHTLY and SNAPSHOT. Installing custom ROM requires a custom recovery to be installed on your device, which may VOID your warranty and may delete all your data. Before proceeding further you may consider backup your all data or take a NANDROID backup using a recovery. You are the only person doing changes to your phone and I cannot be held responsible for the mistakes done by you. Neither the developer nor we will be held responsible for any disaster that happens to your device. Unlocked bootloader on LG G2 AT&T. TWRP recovery download link for LG G2 AT&T. Make sure you have a TWRP installed on your LG G2 AT&T. – How to flash TWRP using fastboot. Download and Copy the GApps and CyanogenMod ROM for G2 AT&T ZIP to your device. Boot into Recovery. Make sure to have already flashed a Custom recovery like CWM or TWRP on the phone. Reboot and Enjoy the CyanogenMod 13 Marshmallow ROM on your LG G2 AT&T. The first boot may take long time, so don’t panic and be sure that you have enough battery backup. 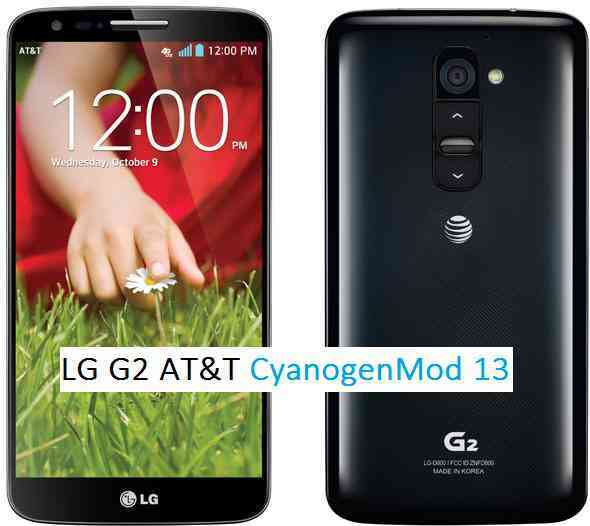 Let the phone reboot and then enjoy the official CyanogenMod 13 Marshmallow ROM on LG G2 AT&T. Stay tuned or Subscribe to the G2 AT&T – d800 forum For upcoming Android Nougat ROMs, CyanogenMod Custom ROMs, other ROMs and all other device specific topics.